Pizza-making was the students' reward for growing and tending the gardens. 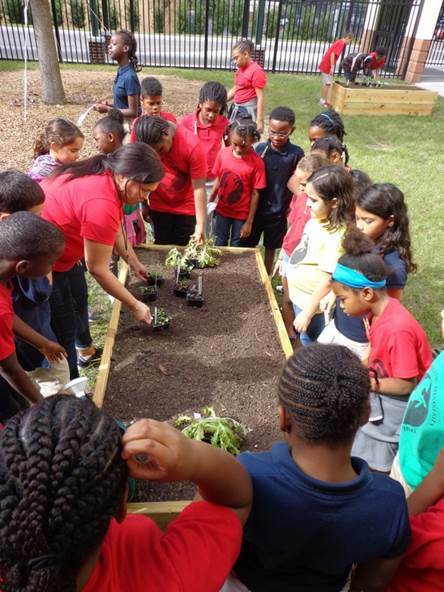 On Monday, May 21 2018, we joined a group of fourth and fifth graders at Sullivan School to harvest the herbs and veggies we planted. They prepared the vegetables and herbs for pizza toppings. The kids had fun rolling out pizza dough, adding sauce, then placing the veggie toppings on their pizzas. The pizzas were later taken to the Metropolitan Ministry dining room to be served to guests for lunch. The Fall, 2017 planting provided a nice harvest in Spring, 2018, at the Patricia J. Sullivan Elementary School. 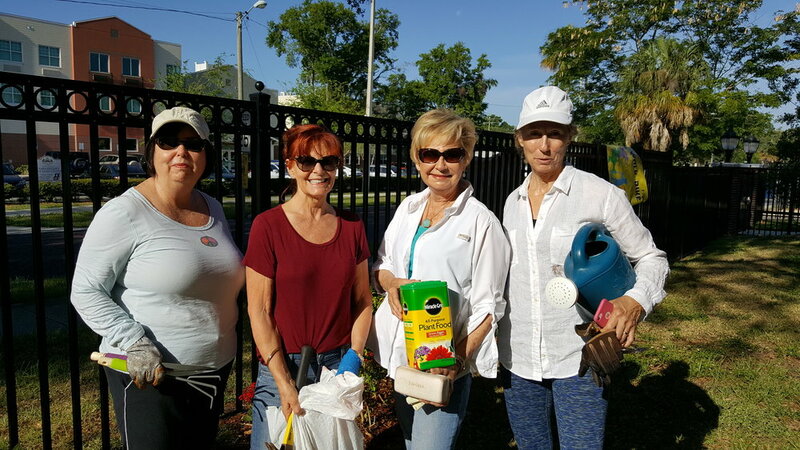 On Friday, May 4, 2018, a group of Moonlighters visited Sullivan School to take care of the vegetable, herb and butterfly gardens. They found lots of vegetables ready to be harvested. Thank you Dani, Kathy, Scott, Leigh and Leslie for your hard work. 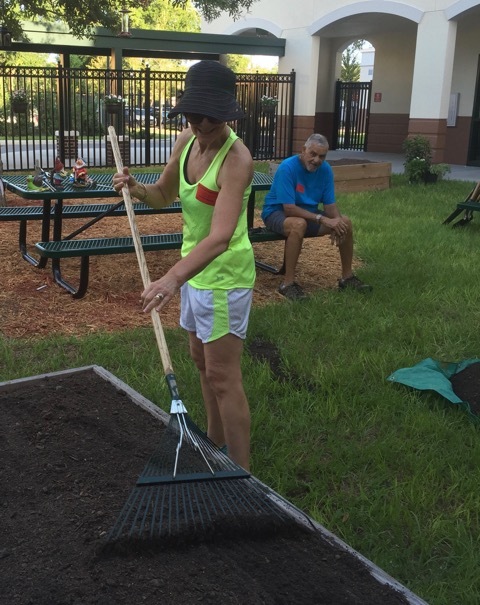 On Friday, October 20, Scott, Kathy and Nancy visited the Sullivan School in Tampa to help the students plant a fall vegetable garden. The kids took turns digging, planting, fertilizing and watering three raised beds of vegetables and herbs. Plantings included tomatoes, peppers, chives, basil and eggplant. 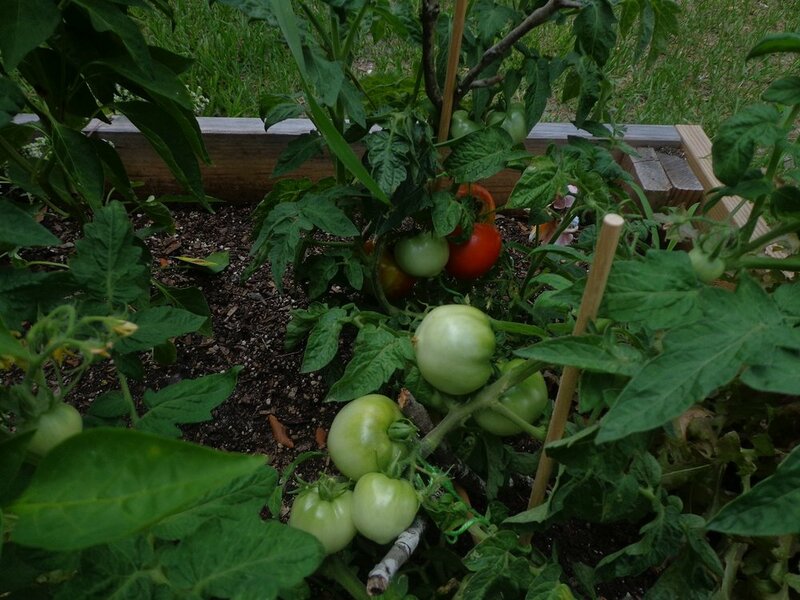 The kids will harvest the veggies in the Spring and have a 'pizza garden' celebration to celebrate their harvest. The kids also helped to spread mulch around the main garden as well as the new flower and perennial garden we planted along the side of the school. Kathy talks to the children and their teacher about watering the garden, while Scott oversees the mulch distribution. 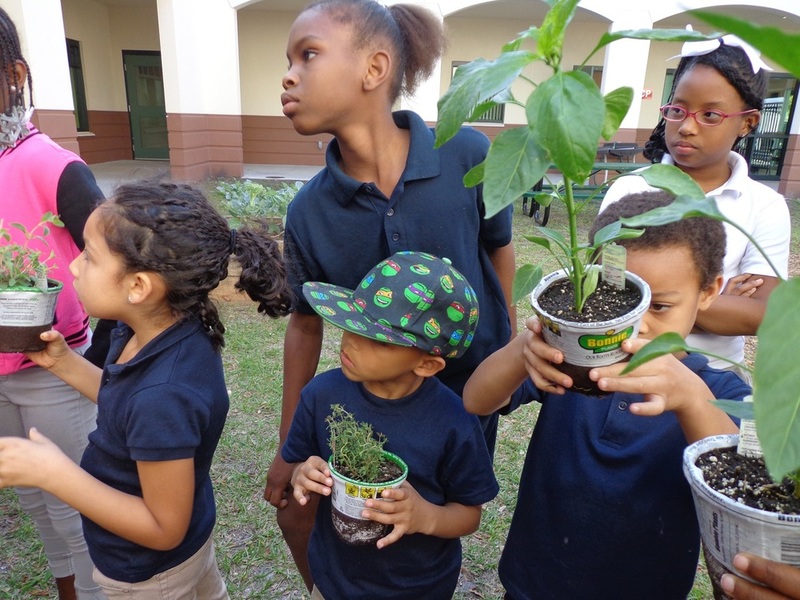 Our work at Sullivan School in 2016 helped the students learn about the origins of the food they eat, sharing, caring for the plants and many other life lessons. Here's what the garden at the Sullivan school looked like at the end of the school year, 2016 - after a lot of hard work and much harvesting of vegetables. 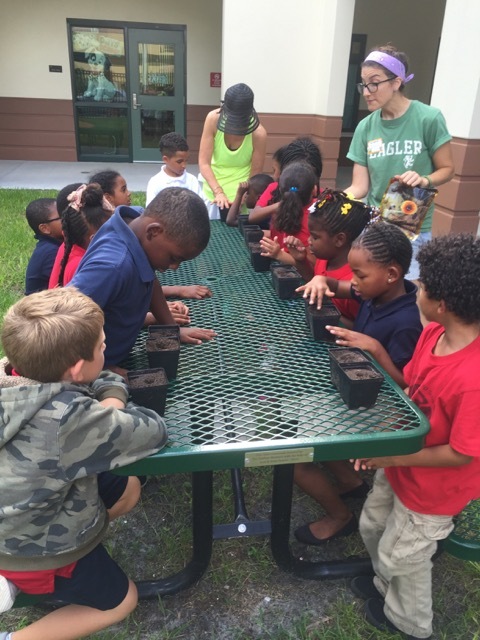 We are looking forward to next year's class of students with green thumbs. The Sullivan School is dedicated to educating children currently living in shelters for the homeless. There are approximately 100 children attending the school at any given time. The Moonlight Garden Circle has developed a program to teach children how to plant, grow and harvest their own food. In the carousel of photos below, the gardening box was designed to grow the ingredients to make a pizza! The children learned about herbs that are typically used in Italian sauces including oregano, basil and thyme. They were able to touch and smell each herb. 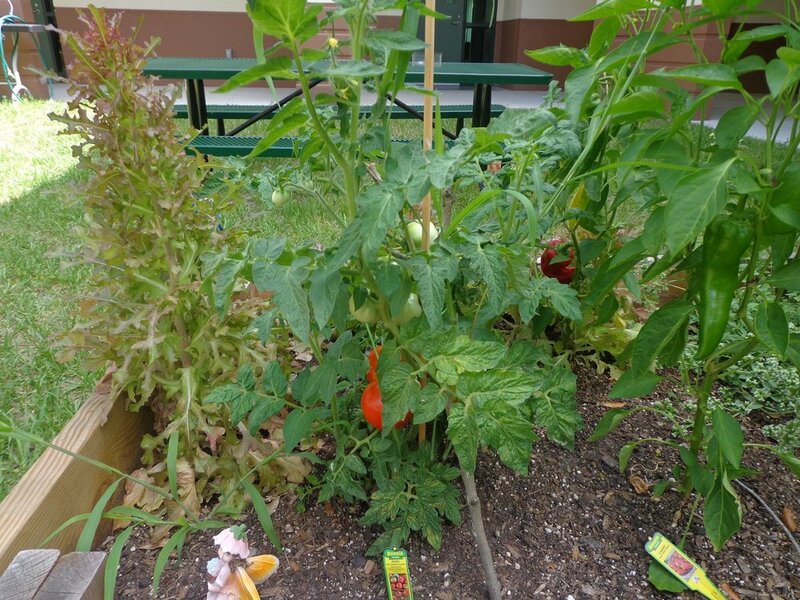 In addition to the herbs, the children planted two different varieties of tomatoes and bell peppers. Each child took turns learning how to prepare the bed, dig the soil, plant the herbs and vegetables, and water the plants. The experience will culminate with harvesting the plants and using the harvest in making their very own pizza. Moonlight Garden Circle member Scott Moore supervises. 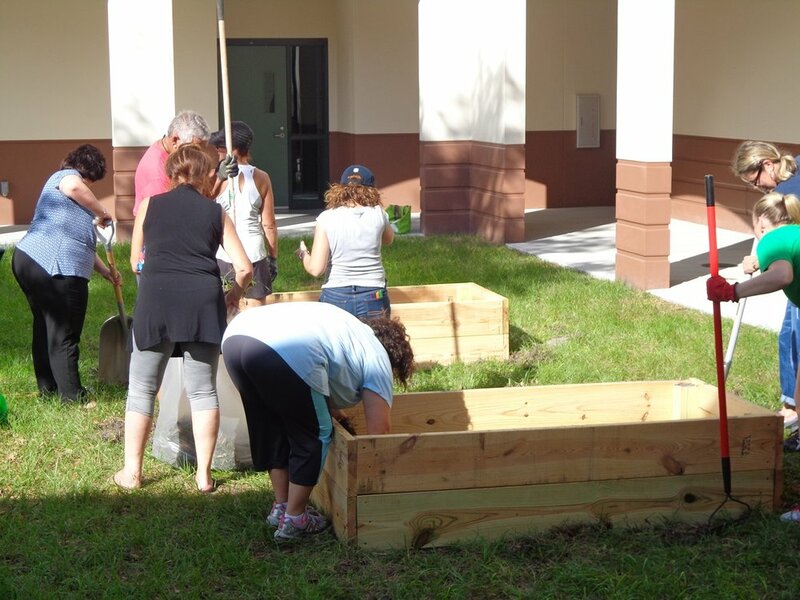 Here are some photos of the garden being set up at the Sullivan Partnership School in Tampa. The kids really enjoyed the experience. 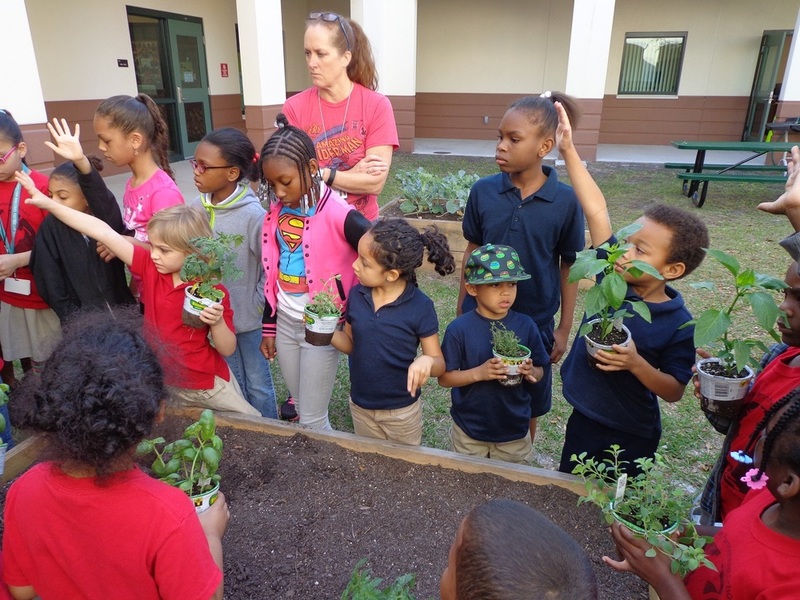 We gave a grant to a South Tampa elementary school class for their garden, too. Here they are with garden club members Tona Bell (second from left, back row), and Heather Ferrill (third from left, back row). Click here to see the work garden club member Ruby Sugar did with a local girl scout troop. 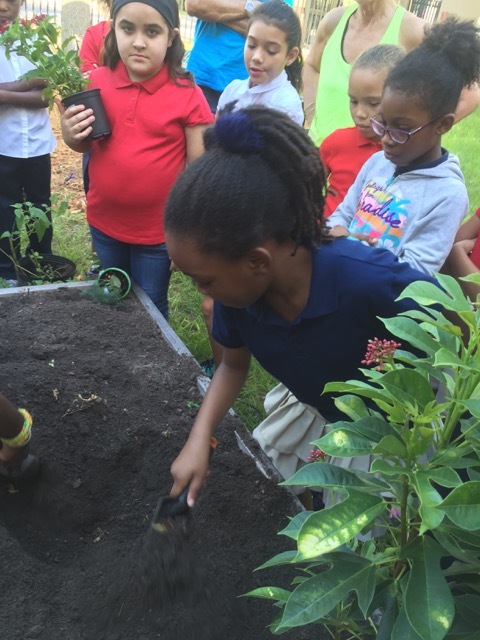 Here are some photos of the kids planting the three gardens: a fall garden of corn, squash, and pole beans, a “pizza” garden of basil, oregano, peppers, tomatoes, spinach, and a butterfly garden with penta, lantana, dill etc.. In addition, the 4th grade class is germinating sunflowers to be planted along the fence of the courtyard. Kathi and I, with the tremendous help of Erika and Rachel from Whitwam Organics, helped the kids with their gardens. It was a tremendous day that you’ll hear more about when Principal, Melissa Craig Clark, addresses the Moonlight Circle at our next meeting on September 6 at the Tampa Garden Club. Take a look at the first photo where Rachel removes the basil and oregano plants from the beds we made last year. I wish I could get mine to grow that well! We got together in late summer to prepare the raised beds for a planting in the fall. We removed overgrown plants and weeds, and laid black plastic on the beds for a period of soil preparation. Scott used a tiller to create a new bed along the school's south side, for relocation of a few plants from the previous garden plus the addition of plants a few weeks later. The work at Sullivan School continues. We planted a new garden! 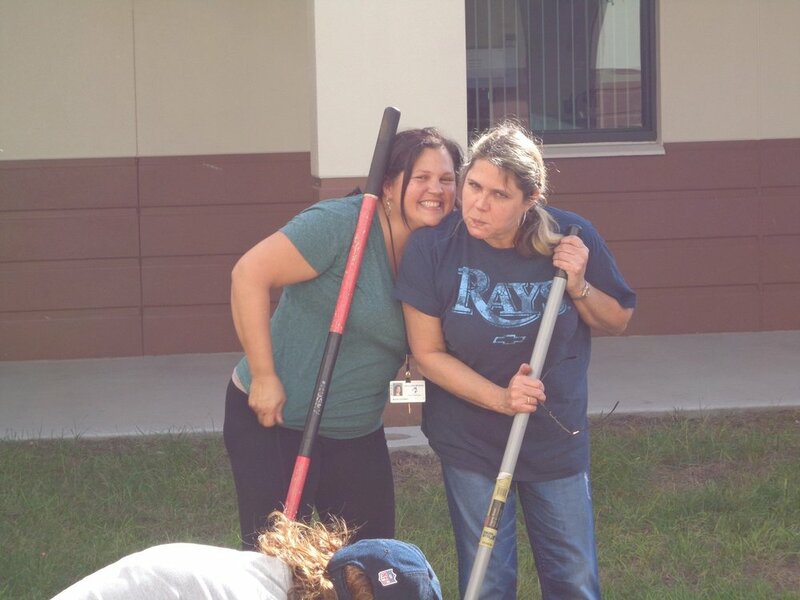 On Friday, September 22, 2017, we went to Sullivan school to plant perennials in the new garden bed on the south side of the school. Plants were donated thanks to Kathy, Scott and Dani, and we placed them along the garden fence for the students, teachers and administrators to enjoy. It made a huge difference to the look of the area. We celebrated by going to Cafe Hey for coffee and Cuban toast afterwards.